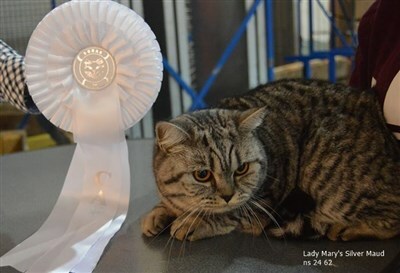 4 Lady Mary's cats entered the show on Saturday and 6 on Sunday. 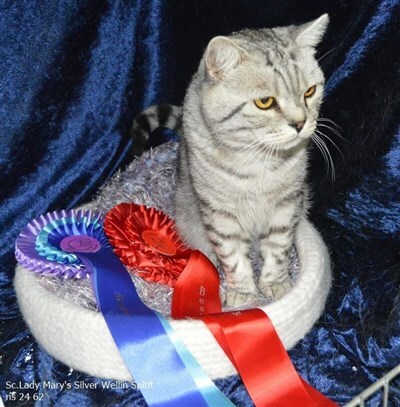 Proudly Sc.Lady Mary's Silver Wellin Spirit had a special prize for being the shows oldest cat 13 1/2 years old, had 2 x HP, 2x 2'nd place in veteran class and 1 x Best breeding male. Still going strong at the show bench and in lovely condition for his age. 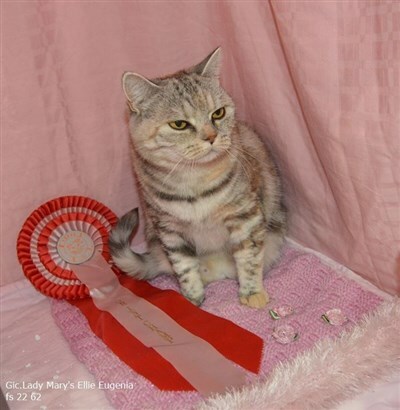 His lady, Ellie, had 2 x Cagcib and was made up to Grand Int.Champion. 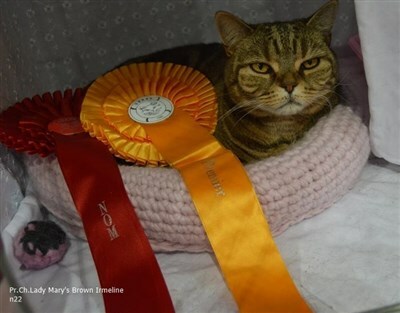 His daughter Irmeline, owned by Bente was 1 x nominated for Best in show and was made up to Premier. Also very nice to meet his daughter Maud,owned by Malin, who entered her first show as adult and had 1 x Cap. 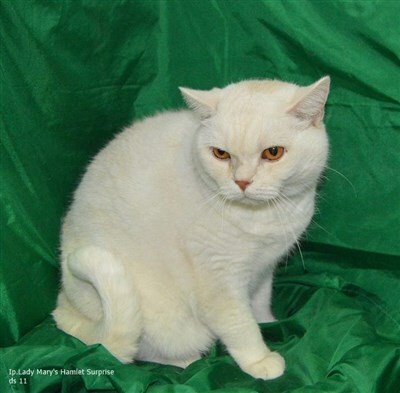 Ep/Ec.Lady Mary's Brown Ximir, alias Bamse, is also keeping a lovely condition for his age, soon to be 13 years old, owned by my daughter Malin, had Hp.